For many families, pumping is an unavoidable activity: you may return to work outside the home, you’re working to increase your milk supply, or baby has special feeding needs. 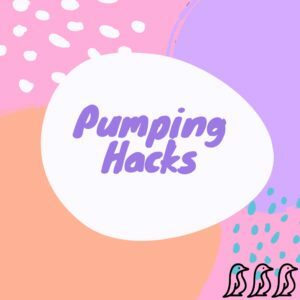 It’s no surprise that pumping can feel like a chore, but there are ways to make your pumping routine a little easier on everyone. • Look Mom, no hands! Did you know about pumping bras? Depending on the style they may be bustiers that go over your regular bra or a nursing/pumping bra combo. Either way, going hands-free during your pumping sessions lets you multitask – for work OR play. • Keep it cool. When you’re done pumping, go ahead and put ALL of your pump pieces in the cooler/refrigerator in between. This eliminates the time needed for washing after each pumping session. (Note: if you are pumping for a preemie/NICU baby or a baby with special medical needs, check with your pediatrician first!) Always make sure to sterilize pieces at the end of the day. • Wipe out! If keeping your pieces cold between sessions isn’t ideal, consider using pump wipes that will clean between uses without the tedious trips to the sink. • Be prepared. Store extra pieces at work/in your car in case of a forgotten or broken piece. Having a backup will come in handy when you’ve reached the end of your commute and realize one of those little membranes is ripped! • Relax. Consider putting on some music or soothing background noise. Studies have shown that listening to music can increase your release of oxytocin – and therefore increase your supply. • Reward yourself! You’re working hard to provide the best nutrition for your baby and you’re doing great! Think of a reward system to keep yourself going – whether it’s a Hershey kiss when you’re done or a new book to read only during pumping sessions. 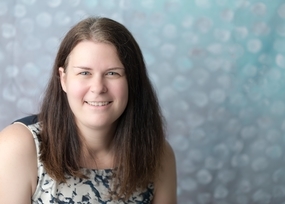 Michelle is the Director of Business Operations at littlebeam. littlebeam Nursing Pillow is the perfect way to get comfortable during breastfeeding. This easily portable pillow has a unique body hugging shape that doesn’t need straps or velcro. Developed by a lactation consultant, littlebeam can be used in any position. Plus, this compact, firm pillow has a 100% cotton, machine-washable cover. littlebeam is proud to support ALL families, no matter their feeding choices.